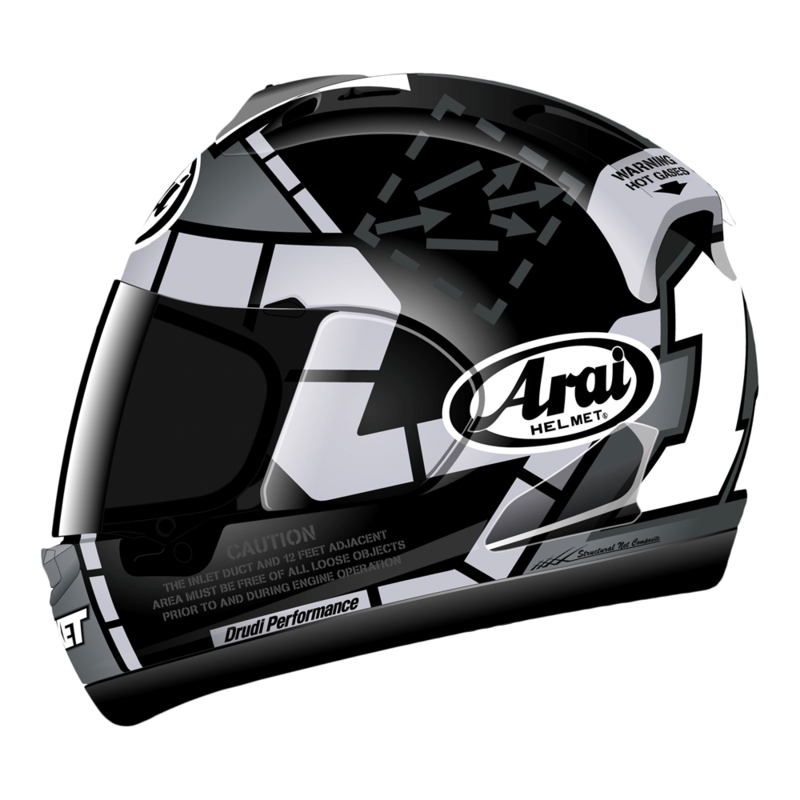 Introducing the RX-7V Vinales 12. 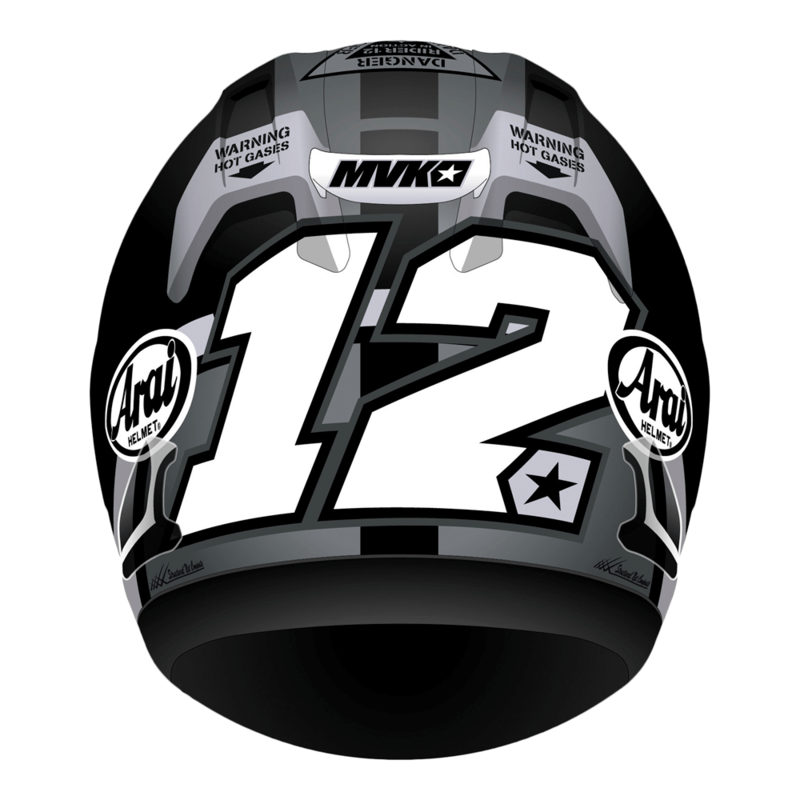 This season sees Yamaha Moto GP star Maverick Vinales now using the number 12 and with that his latest replica helmet has been created. 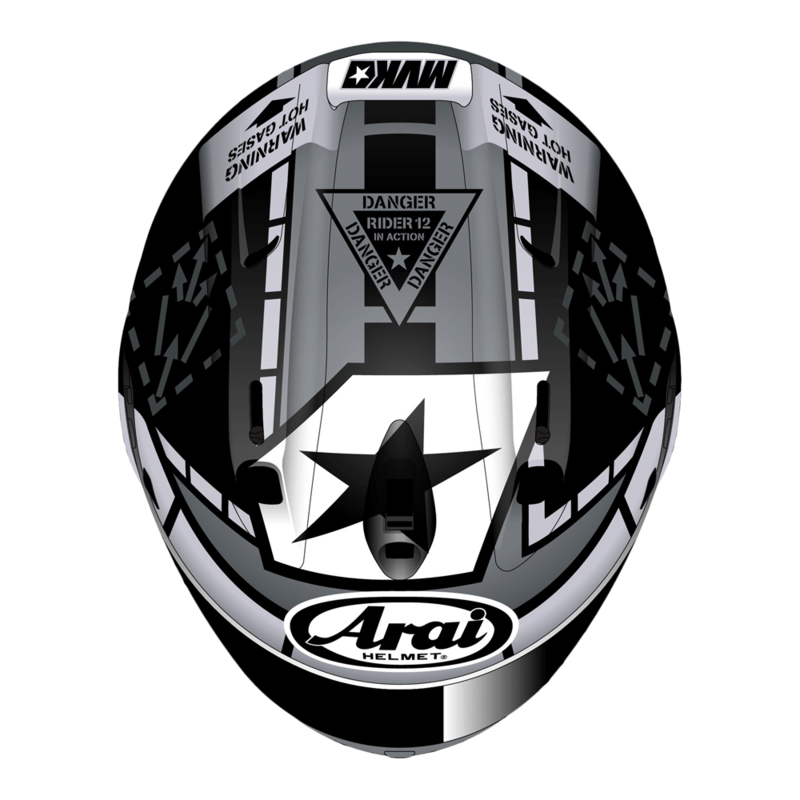 The latest design uses a new and updated monochrome design but still uses elements of vintage fighter jet illustrations as seen in his previous replicas. 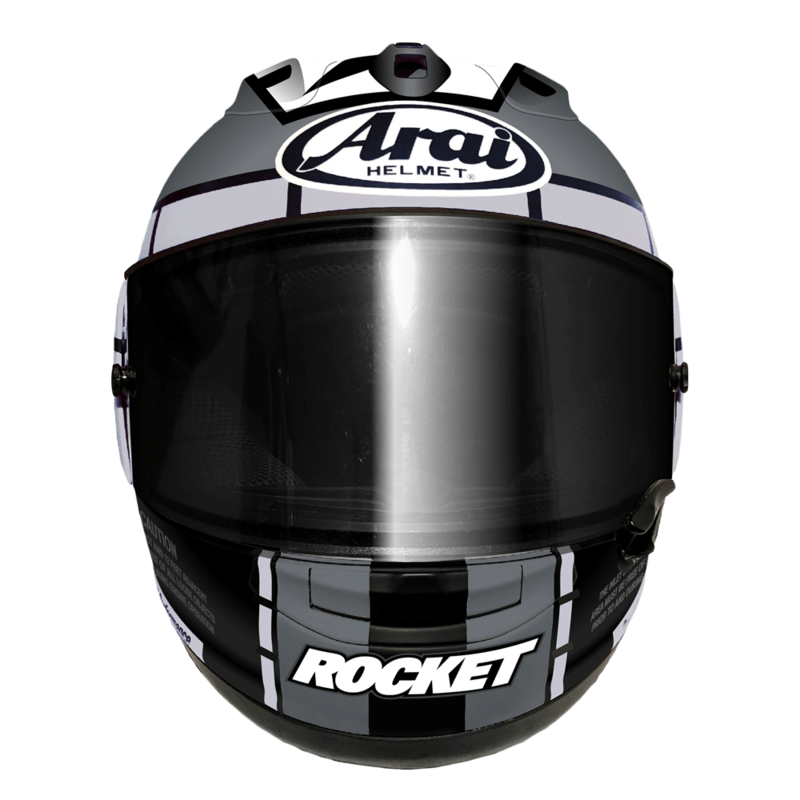 Please note images used for display purposes and the ‘Rocket’ logo will not be on the production helmets.